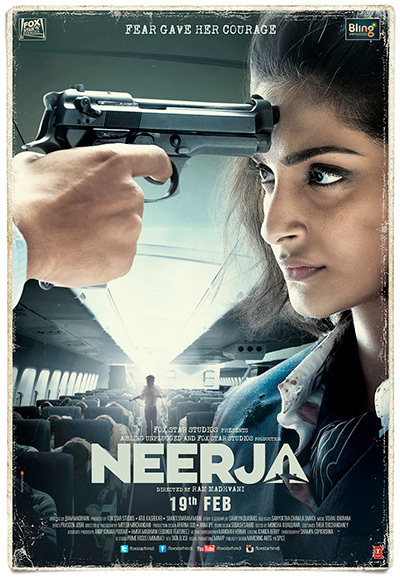 “Neerja” Starring Sonam Kapoor, Shabana Azmi, Yogendra Tiku; directed by Ram Madhvani; music by Vishal Khurana. This biopic depicts the dramatic events from September 1986 when a Bombay-New York, Pan Am flight was hijacked in transit by Palestinian extremists from Abu Nidal’s terrorist organization in Karachi. The heroic actions of a 23-year-old crew member helped save the lives of hundreds. Sonam Kapoor plays the title role of Neerja Bhanot, a part-time model, who was the head purser on that flight. Neerja had escaped a brief abusive marriage and applied to become a flight attendant, impressing everyone so much she was made purser. During the horrifying event, Neerja didn’t give in to fear but instead fought her past personal demons from the onset of the hijacking. She used courage and wits throughout the tense 17 hours to ensure the passengers’ protection. Her quick thinking and brave actions saved the lives of 359 passengers and crew on board out of 379, at the cost of her own. 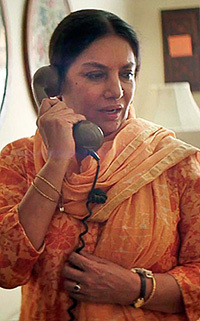 Shabana Azmi plays her mother. Neerja posthumously became the youngest recipient of India’s highest civilian honor for bravery, the Ashoka Chakra, and received international recognitions for heroism. The film portrays Neerja’s strength, courage and sacrifice and the makers hope this lesser-known Indian hero becomes an inspiration to young girls for generations. 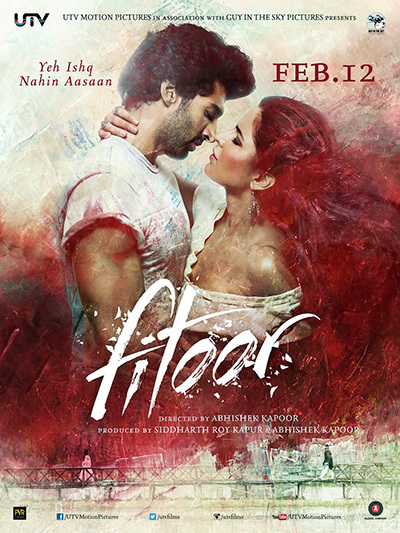 “Fitoor” Starring Aditya Roy Kapur, Katrina Kaif, Tabu, Aditi Rao Hydari, Rahul Bhat; directed by Abhishek Kapoor; music by Amit Trivedi. The writer and director of the hits “Rock On! !” and “Kai Po Che!” adapts Charles Dickens “Great Expectations” and sets it against the backdrop of beautiful Kashmir. This story follows a young Kashmiri boy named Noor played by Aditya Roy Kapur, last seen in 2014’s “Daawat-e-Ishq,” through love lost and realized over the course of two generations. Katrina Kaif plays his muse Firdaus and Tabu stars as the reclusive Begum Hazrat. That’s Pip, Estella and Miss Havisham for those familiar with the Dickens classic. Thirteen-year-old Noor, an impressionable shikara boy living near Kashmir’s Dal Lake, is enticed into the world of the wealthiest woman in town, the Begum. Young Noor falls in love with the Begum’s daughter, Firdaus – a beautiful child raised to break hearts. Suffering from heartbreak herself, the Begum finds her mark in Noor. Noor obsesses over Firdaus, who belongs to a world very different from his. Time passes and Noor moves to Delhi to pursue his career as an artist. He attempts to be accepted into the sophisticated social circles that Firdaus inhabits in efforts to win her heart, while the Begum plots retribution on their young love. Amit Trivedi fans will not be disappointed with the fresh soulful soundtrack.